MNC-SCA is a soundless and safe demolition agent which is quite different from ordinary demolition agents such as explosives and dangerous materials. It does not cause any fly rock, noise, ground vibration, gas, dust or any other environmental pollution when used properly. As requirements for cracking the stone and demolishing rock and reinforced concrete in construction increase in tight quarters, the use of explosives and explosive agents is becoming more restricted as far as safety and environmental pollution problems are concerned.MNC-SCA is the best solution. • Granite, marble, sandstone, limestone, quartzite quarrying. • Rocks pre-splitting, fracture, cutting, demolishing and removal. • Controlled demolition or cutting concrete. • Fracture and demolition of the concrete buildings and structures. • Excavation of trenches and foundations. • Underground excavation and removing boulders. Amazing expanding capabilities breaks reinforced concrete, rock, marble, granite, limestone or any material you are working with. Depending on the material you are working on. No formal training required before use. Just mix with water and then fill into holes. Once mixed with clean water, CRACK.AG can be poured into holes pre-drilled in the material you are working with It can be poured into the same holes that dangerous explosives are usually placed in. Much safer than explosives, with NO Noise, NO Vibration, NO Flying Rocks and NO Toxic Gases. No Special License, training or equipment needed. Depending on temperature, there are three types. 40 kg paper-plastic bag package. 1. Although MNC-SCA is packed in anti-moisture paper bags, long storage may cause deterioration of its working ingredients. Therefore, store in a dry place and use it as soon as possible. 2. 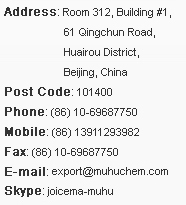 When storing, do not place the bags of MNC-SCA directly on floor, put them on a pallet and keep in a dry warehouse etc. MNC-SCA stored in this manner, can be effectively used for about 1 year. 3. MNC-SCA should be unpacked before use. 4. When storing the portion of MNC-SCA remaining after use, push the air out of the bag, then seal with gum tape and use as soon as possible. However, as it may get exposed to moisture there is a risk of MNC-SCA losing its effectiveness once the bag has been opened. 5. If you receive broken bags of MNC-SCA, they may not work due to chance of moisture absorption.